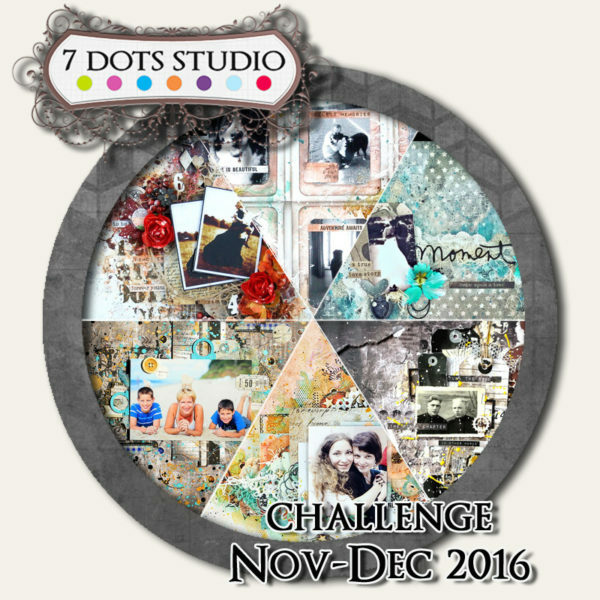 When I read the challenge theme I knew I wanted to make something vintage inspired even though “moments in time” are happening constantly. I chose to go with this photo taken near our summer house of an old stable window. I love how it’s partially in pieces and really grungy looking. What stories it holds! I love when objects have a personality and stories to tell.When they tell about those moments in time. Moment in time… My moment … US moment, our wedding… Today I want to share with you my new layout with a photo of my wedding. I sprayed blue ink with gesso on the background and dark ink for some added splatters. 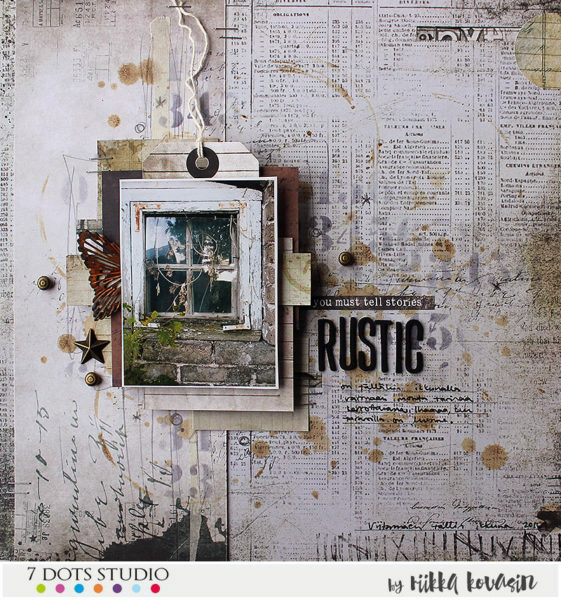 I love to play with textures !!!! 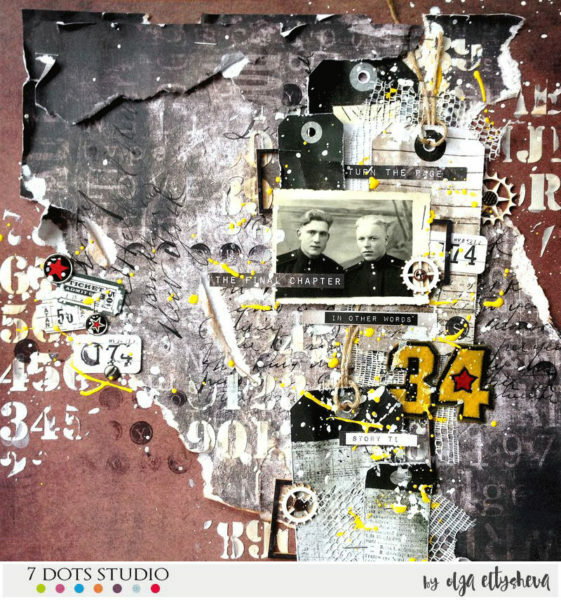 I used a lot of media, stencils, flowers and also papers and words stickers from 7 Dots Studio. 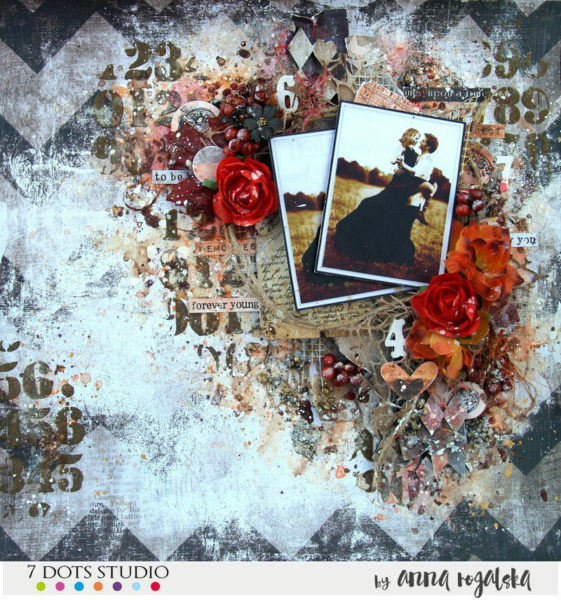 I created these vintage looking ATC’s for the 7 Dots Studio November challenge “Moments in Time.” There are so many moments in our lives that we would love to remember. 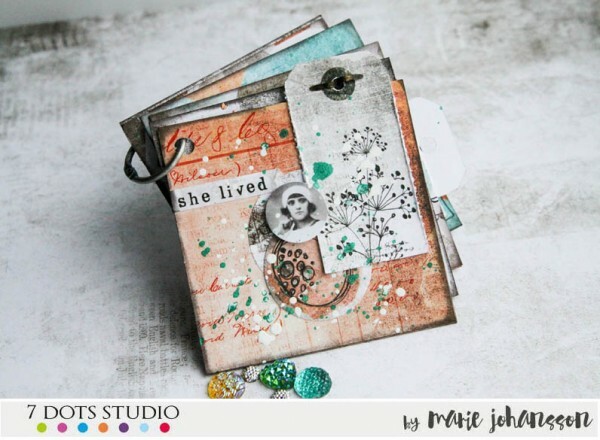 These ATC’s are perfect for remembering some of them. Each message helps us connect to what’s important in life such as “Imagine the impossible”, “draw your own map”, etc. 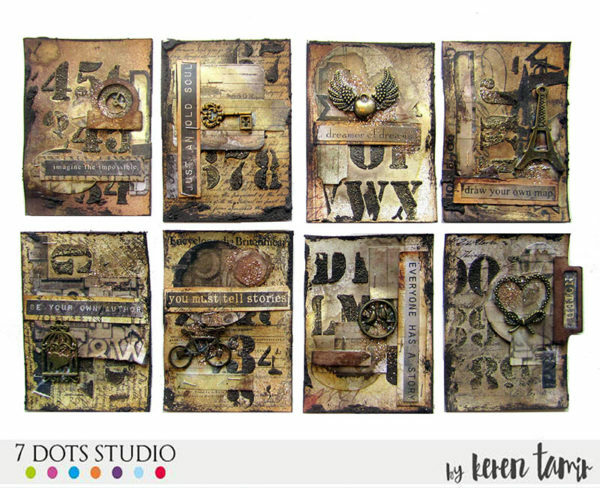 I used the Writer’s Block collection to create these ATC’s as they were perfect for the theme. In this creation I had some fun with the new collection, I love it. I like the mixture of paper and media. The Writer’s Block collection fits wonderfully with this page. We can find the theme of the challenge in this creation for sure . Not to mention my splashes. Also please enjoy the video. Every moment in time gives us a chance to love, to learn, to dream. You can always make choices as to how you want to change your life. We have all experienced those turning points in our lives. The moments when we make a decision which changes everything. 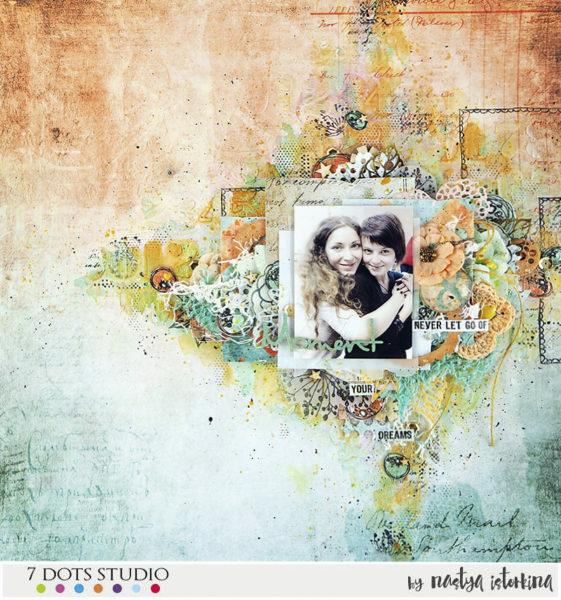 I created a mixed media layout and I mixed two newest collections: Writer’s Block and Cotton Candy Dreams. I really love them both. 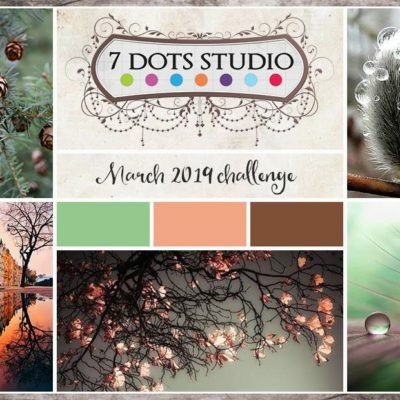 For this challenge I made a one page mini album, with amazing Cotton Candy Dreams collection. 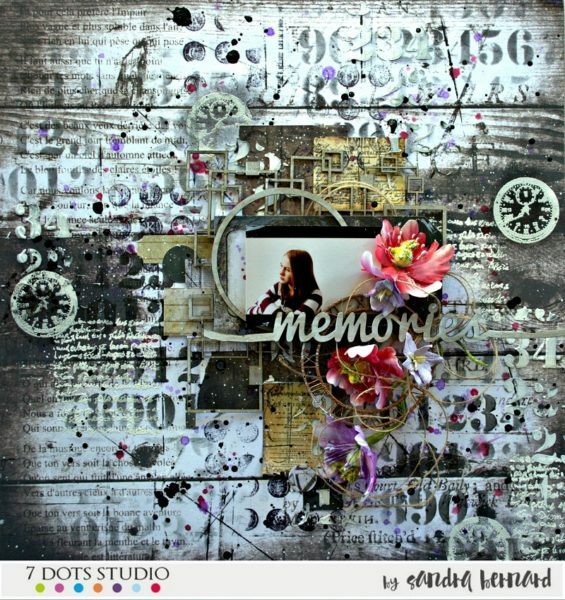 I love to keep memories in hand-made albums or layouts. And these are my memories from the beautiful holiday trip. For me, moment in the time connect with memory. Memories, these small pleasant moments which we want to remember for the rest of our lives. 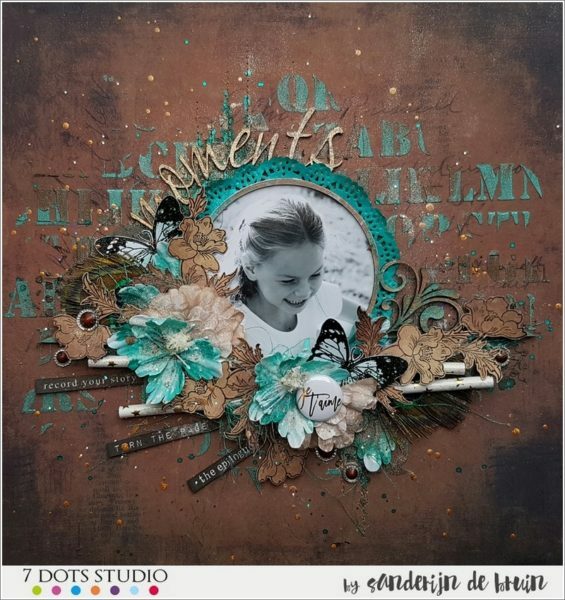 One moment which we want to save in the pages of our story… There’s nothing better that the new collection of 7dots ”Writer’s block” from Dee Carton to express what I wanted for this challenge. 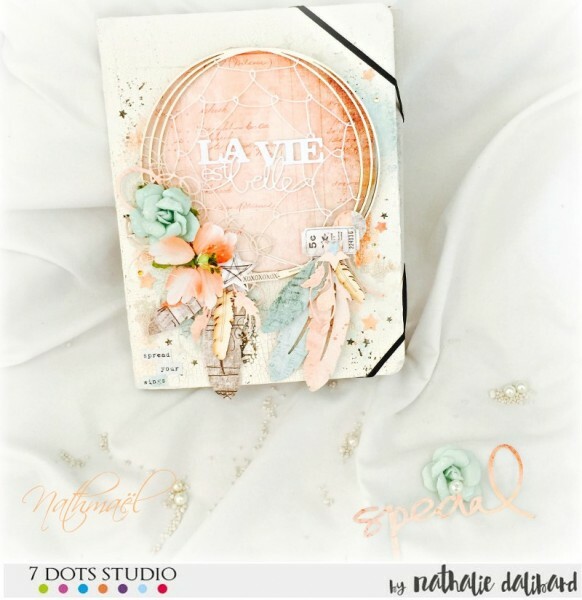 The challenge title “Moments in Time” inspired me to make a mini book using the Cotton Candy Dreams Collection in combination with element pictures from the Cold Country Collection. The small size makes it perfect for writing small notes in – maybe a memories of your grandparents or something similar. I love old photos, they are a piece of the past stopped for a moment, and we can feel the transience of what is happening around us! 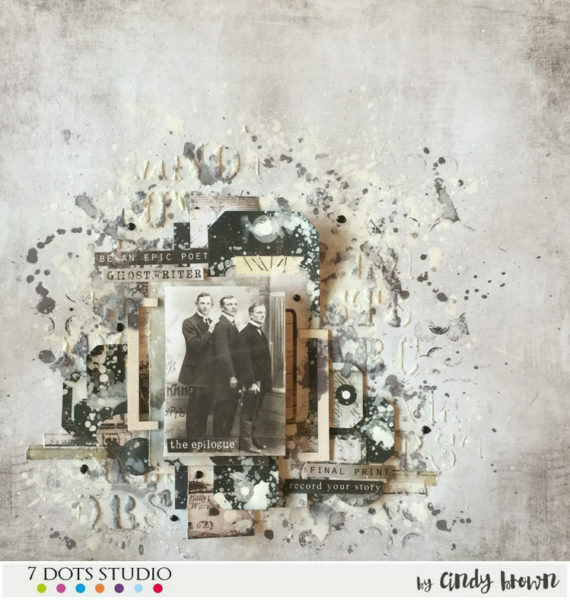 The new collection of papers inspired me to create a vintage work. There are some moments in time that You will never forget. As a mom of two boys I have lots of memories connected with them that are very special for me. It is hard to be a mother in full but I am sure that love, trust and friendship that is built during years are worth this effort. 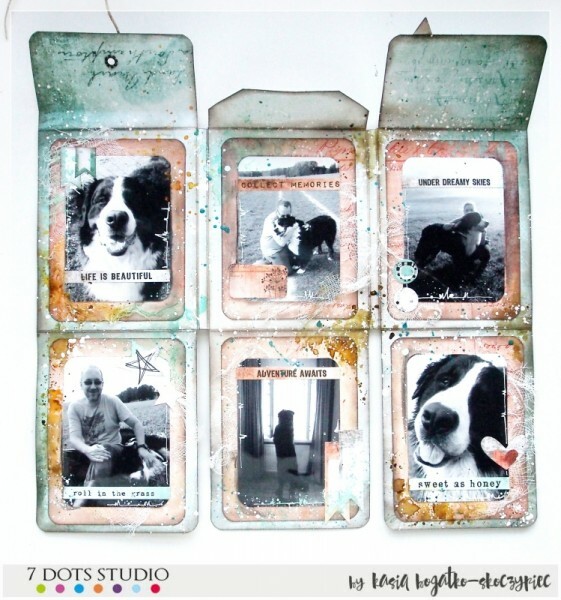 My summer memory is framed with the newest, fabulous collection “Writer’s Block”. I had a long time to think ‘moments in time’ over, but suddenly it hit me. I made layout from new Cotton Candy Dreams collection. There is me and my friend in the photo. We met through scrap-booking, communicated for a long time on-line and met in a real life one year ago. Here is my moment in time! Thanks to scrap-booking that brings us together despite the distance! We announce winners by the end of the December. 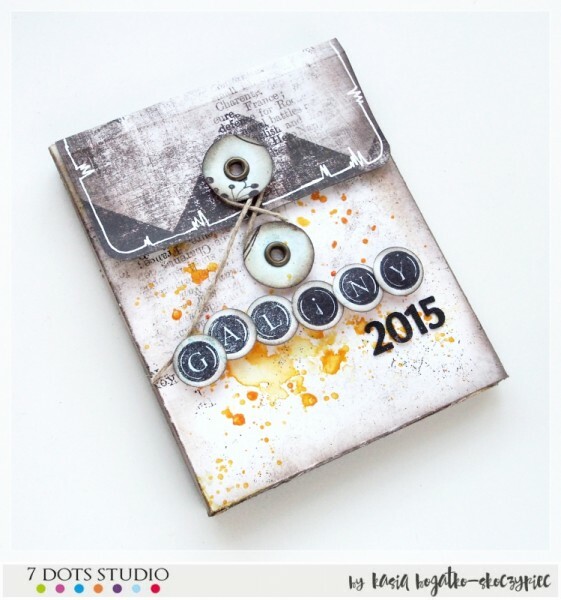 The big Winner will get one Collection Kit and one 6×6 pad from our newest collection!